It is often the will to imitate their comrades. The cigarette plays a social role. And then, smoking when you’re young is something that has existed for generations! It’s part of the experimentation of adolescence. It’s trivialized. Tobacco is hyper available and it is a substance that stimulates and calms at a time. It does not bring anything unpleasant in terms of emotions, so many try. 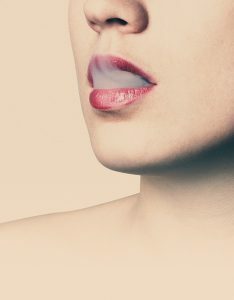 What attitude do you have when you discover that your teen is smoking? the fingers and the teeth turn yellow, the complexion tarnishes, the breath is missing … The arguments of an aesthetic order will convince the girls more easily. And then, we can talk to him about the money that represents! Finally, you have to ask him about his motives. Why is he smoking? Does not he have other ways to stimulate or relax by doing sports for example? Should the parents’ reaction be the same if they are 12 or 16 years old? Yes. At 12, things are already engaged. Puberty starts earlier and earlier. A youngster of this age will be quite capable of understanding as well as a 16 year old. If the parent is a smoker himself, will he not run out of credibility? No. He can recognize that he is not an example. But parents who are addicted to a product are eminently well placed to know the disadvantages! They may say that they found it fun to smoke at first but with the experience they regret having started, it cost them a lot of money, they see that it is not good for the and they do not want their child to rely on cigarettes to make themselves feel or feel better. Can we fear a drift towards cannabis use? Yes, it’s not a myth. There is nothing easier than switching from one to the other. During an evening, it will be easier to propose a joint to a teenager who is already smoking. It is estimated that between the first cigarette and the first seal, it usually takes six months to a year. At age 15, 50% of girls and boys have already tested cigarettes! What if your teen is addicted to smoking?